Good quality well made product. Was nervous buying online over quality & perfect fit. Not only a great fit but lovely quality. Smart case , smart phone. You can see, feel and smell the sheer quality of this leather phone case. Superb. Thank you, my phone wallet arrived in good time in New Zealand from the other side of the world. I am very impressed it looks great feels great in my hand and works great too. It's strong and is an excellent fit for my phone sitting snugly and securely into it's container. I have one tiny niggle, a part of the stitching on a reverse edge is sticking out of it's line, just a little sharp bump, which when you run your finger across it is very obviously noticeable. However, a part from that I could not be happier. Excellent cover, appears well made and protects the phone really well. Phone fits snugly in holder with no intrusion over the screen. Plenty of edge protection in the event of an accidental drop. Good solid feel plenty of protection for phone, fingerprint and camera holes on the back in exactly right places. 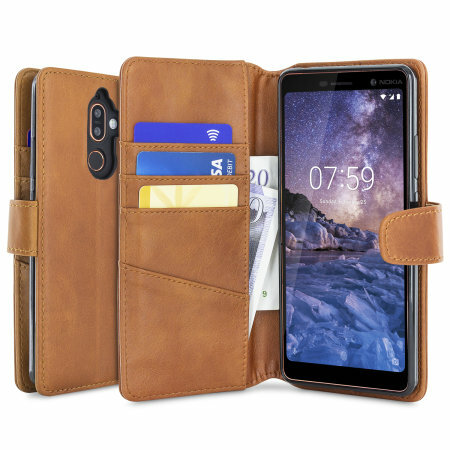 NOKIA 7+ COVERS FOUND AT LAST THANK YOU. Nothing, it's a basic item, was delighted that somebody was able to supply a cover to protect my new Nokia 7+. Walked the streets of Dublin Ireland trying to find one. Not even available from the Vodaphone store I bought the 2 mobiles from!